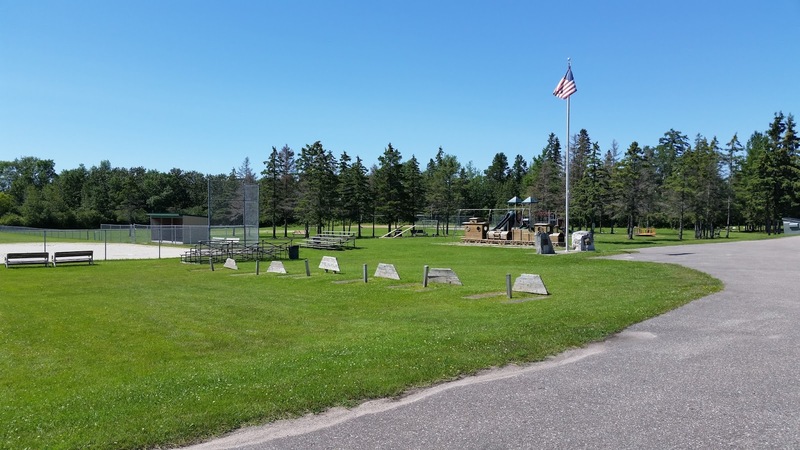 There's a really nice city park in the northeast corner of the small township of Pickford, MI (Pop. 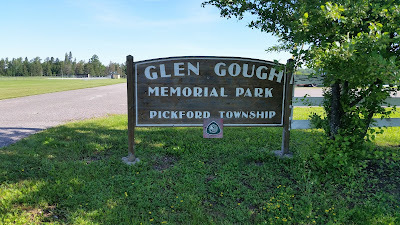 1,595) called Glen Gough Memorial Park and I made it my final camping spot in this year's Upper Peninsula swing. A Canadian named Charles Pickford settled along the Munuscong River (which borders the park's northern boundary) in 1877, giving the town it's name. Gough Park covers 32 acres and contains 18 back-in sites with 30 amp hookups, individual trash barrels, and picnic tables. The Mini's site in Gough Park. 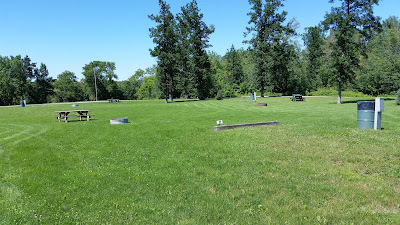 The park is extremely well kept by the town with a crew of three employees working on it every day I stayed there. 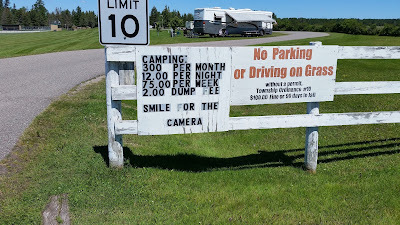 You can obviously stay at least a month at the park. 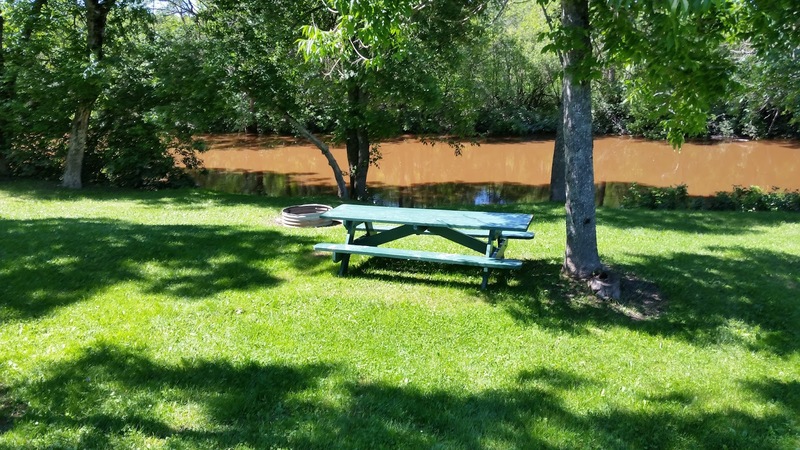 I reported that the park has water access and due to the Munuscong River providing the park's northern border that is true, but I wouldn't plan on doing any swimming. Picnic area near the muddy Munuscong. The park has a little league ball diamond, a kiddo play area, and a large meeting hall. 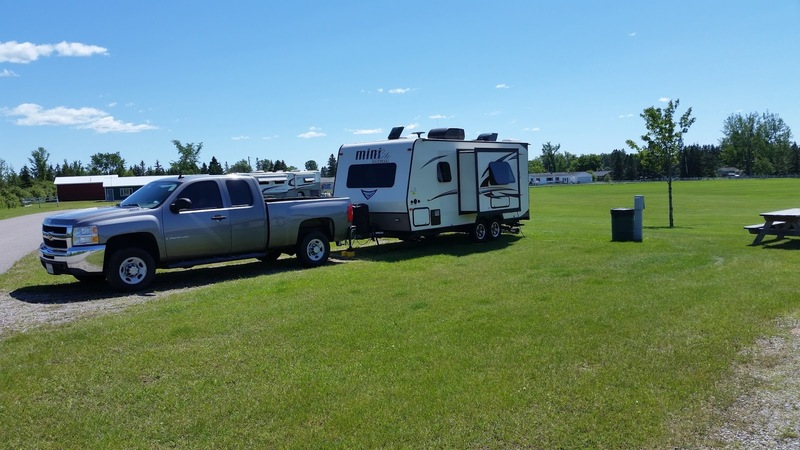 The ball diamond and kids playground. Gough Park actually has two separate camp areas. The one closest to the park entrance where I stayed has nine sites then along the north edge is a second group of sites with nine more sites. The mostly empty northern campground. 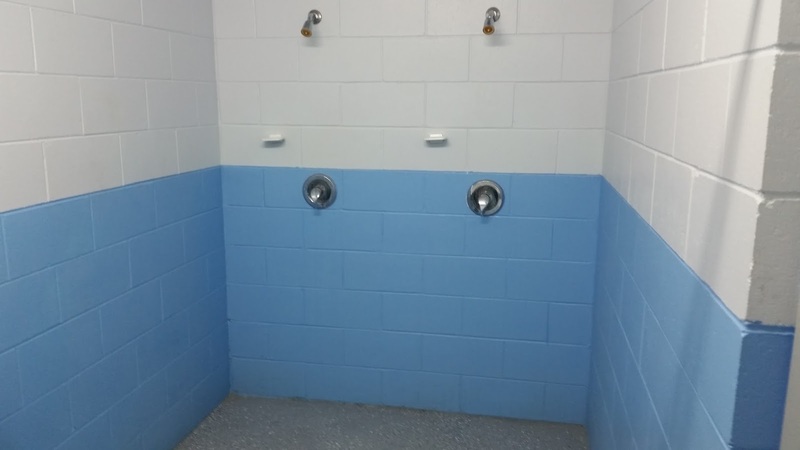 I usually don't comment on the bathrooms and showers at places I camp but I have to say that the Gough Park showers were the cleanest I've ever seen! 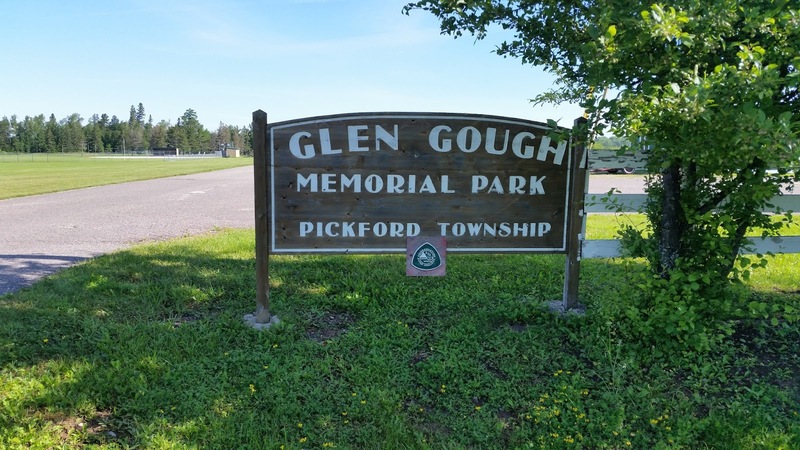 If you enjoy camping in clean, quiet, reasonably priced municipal parks then Glen Gough Memorial Park is for you! It's always rewarding to discover a really good camping spot to work into the camping "rotation" in a particular geographic area, Gough Park gets added to next years Upper Peninsula rotation.